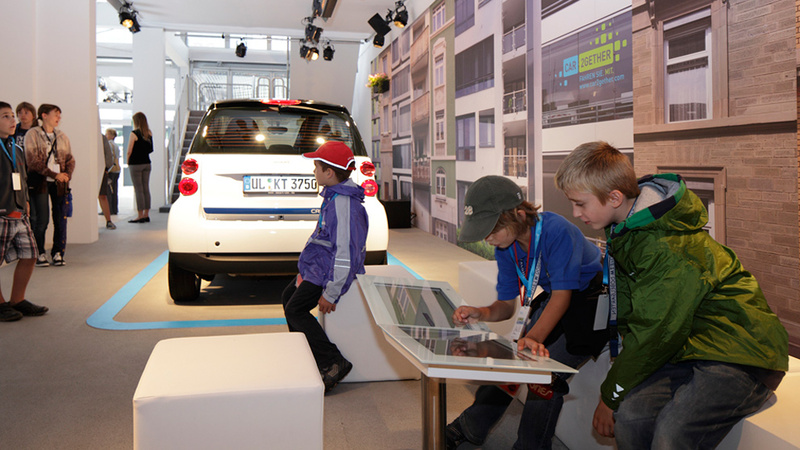 To celebrate the 125th anniversary of the invention of the automobile, Mercedes-Benz hosted numerous events in the heart of Stuttgart as part of Automobile Summer 2011. 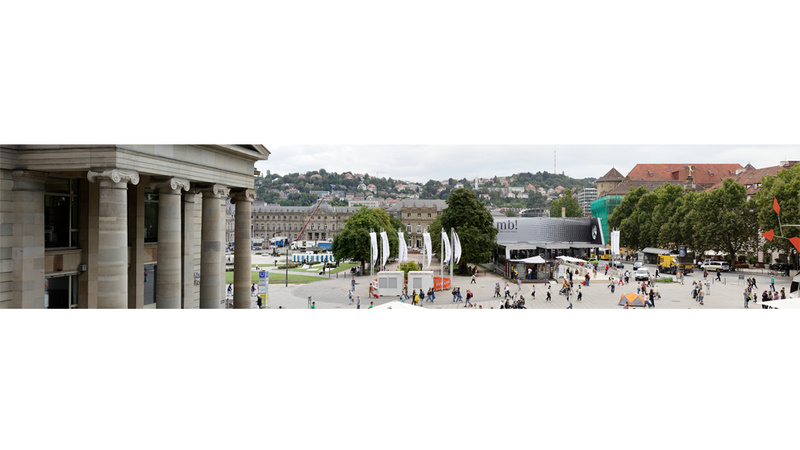 The centrepiece of the Stuttgarter Sternstunden celebrations was the 1,500 m² mb! 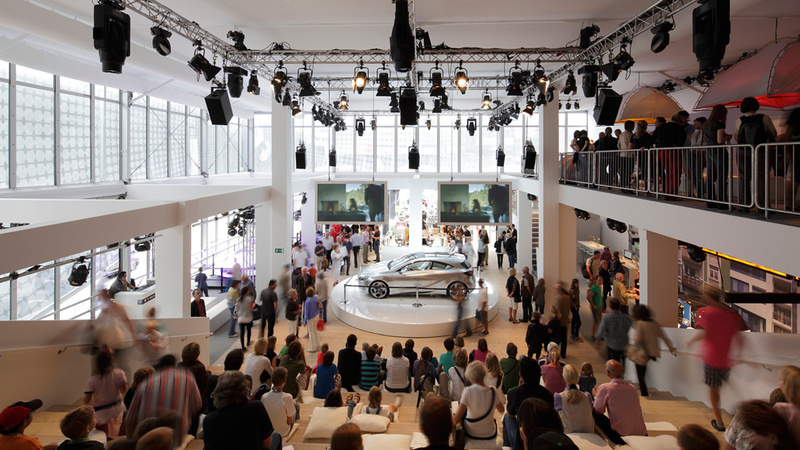 Lounge, which presented a dazzling array of new concepts and futuristic design ideas and provided an insight into the upcoming Mercedes-Benz brand worlds. By day, the lounge acted as an exhibition space and discussion forum, but at night it became a venue for talks about burgeoning trends, as well as presentations and parties. The aim was to design a temporary pavilion with a distinctive exterior aesthetic. The basis for the venue was a standardised tent-like structure, which was rented. Its unspectacular design was then transformed with the addition of an unusually shaped awning and a distinctive, vivid exterior covering of woven mesh. The lengths of mesh were joined to create areas up to 10 x 35 metres. The design also featured graphic prints based on the motifs from the design study for the Mercedes-Benz A-Class. The result was an unforgettable staging of the Mercedes-Benz brand.